There is also a show on December 4th at the Nomad Cafe in Los Angeles with the likes of Drowning With Our Anchors, Ghostlimb, Maladie, and Acts of Sedition. Thank you to everyone that came out to last weekend's shows with Robotosaurus. Way siq. Why didn't you kill yourself today? There's a reason that it's hard to look in the mirror. See, you should be there, too. 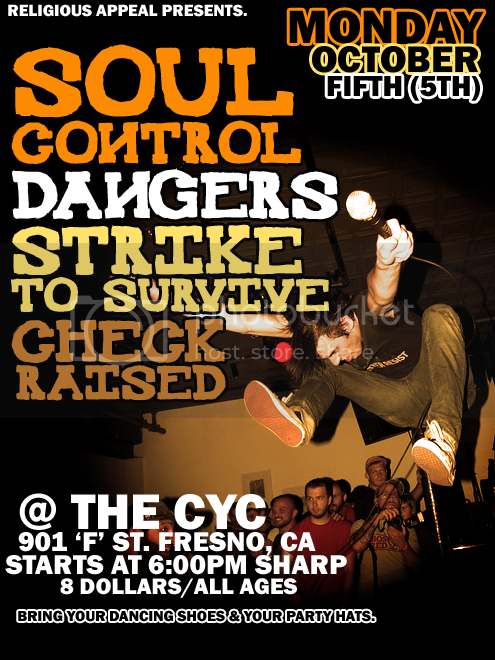 The other show will be at Harjit's house in the East Bay. That will be on Sunday, September 27th. The address is: 2844 Union Street, Oakland, CA 94608. We'll be playing with Robotosaurus from Australia and they have a song that sounds like The Jesus Lizard, so be excited for that. Also, some shows coming up in future to be aware of. 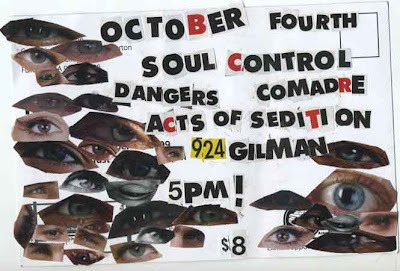 October 4 - 6 we'll be playing shows with Soul Control up and down the CA coast. 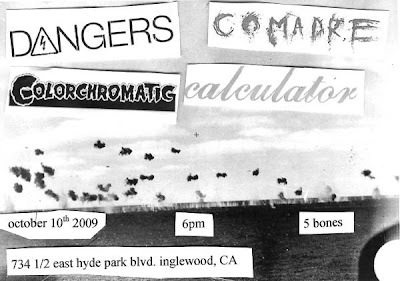 October 10th we'll be playing in Inglewood, CA with Comadre, Calculator, and Color Chromatic. In November we'll be playing a show near Lynwood to help a new community art center get up and running. December 4th we'll be playing at the Nomad Cafe with Drowning With Our Anchors, Acts of Sedition, Maladie and one of the Justin Smith Ensembles. Other shows to be announced shortly. Keep asking us to come to Australia, please! And Canada. And the East Coast. And Europe. Thank you! Comadre is doing a new mixtape. We'll be on it. 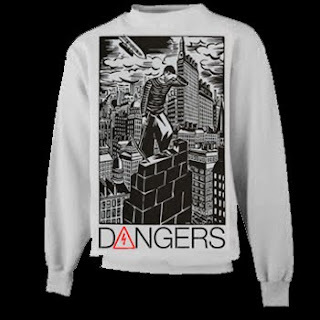 Go here for news on that. Thank you to everyone that sent in a reading of the poem. You will be handsomely and sartorially thanked in the future days. Enjoy the rough mixtures, but be kind; final mix awaits our ears and the artwork is being finagled into existence as we speaketh.